How do I know if I have to repair my roof or replace it? — B&B Siding and Roofing: #1 local contractor in Staten Island, Brooklyn, central New Jersey. How do I know if I have to repair my roof or replace it? Knowing when to replace your roof can sometimes be a conundrum. Should your roof be replaced after a certain amount of time? Or do you wait until there is a leak that comes through your ceiling? And if your roof is leaking can a repair suffice, or does it need to be replaced? According to the National Roofing Contractors Association, homeowners should check and inspect their roof twice a year – once in the spring and once in the fall. Do a visual check from the outside – remove debris from the rooftop, drains, gutters and downspouts, as routine maintenance can extend the life of your roof. 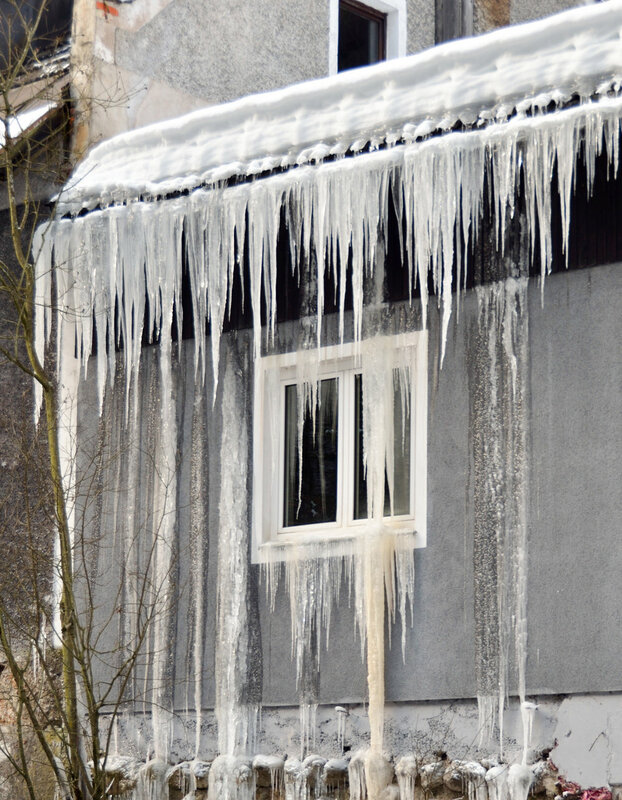 Check the flashing around chimneys, vents and skylights to ensure there are no cracks or breaks which can lead to leaks. Go into your attic and check your roof from the inside. Check the sheathing and beams for stains or leaks which are signs of a leaky roof. Check to see if beams of light are coming through the rooftop – a sign that shingles may be missing and the wood has rotted through. When it comes to repairing your roof versus replacing your roof, it depends on several factors, including the type of damage and what percentage of the total roof surface is in need of repair. In some cases, replacing a few shingles is all you need to restore the function of your roof. Asphalt shingles are designed to last for decades. Before you decide to replace shingles, however, it’s important to have a professional inspect your roof to determine if any of the underlayment or decking is damaged. There’s a big difference between a few missing shingles lost during heavy winds and a leak that extends through the various layers of your roof. If the damage is extensive, it’s usually a better idea to replace the entire roof. If your roof is missing a few shingles, don’t wait to call a professional. The shingles are there to protect your roof’s decking from moisture and wind. Even a small exposed area can allow water to seep into the underlayment and into the deck, where it can cause rot and eventually leak. On the outside, signs of a more serious problem include shingles that are curling at the edges or starting to buckle. Another bad sign is the presence of granules — the small, pebble-like pieces that coat the outside of the shingle — in your gutters or on the ground. A sagging roof is a sure sign of a serious problem. If you notice any sagging, don’t wait to call a roofing contractor. You must replace the entire roof as quickly as possible as this can create extensive interior damage to your home should the structure of your roof be further compromised. Most local building codes allow homes to have up to two layers of shingles, so it’s definitely possible to shingle over an existing roof. After two layers of shingles, however, you risk putting too much weight on the structure of the home. For this reason, the majority of building codes don’t permit a home to have more than two layers of roofing materials. There are some disadvantages to installing a new roof on top of an existing roof. 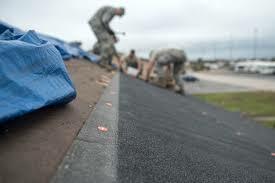 If your new roof leaks after a few years it is more difficult to find the source of the leak. In most cases, placing shingles on top of shingles typically voids any manufacturer’s warranty that protects you in the event of a defect in the new shingles. If a problem arises in the future, you won’t be able to rely on a warranty to cover the cost of repairs or replacement. So how do you know when it’s time to replace your roof. The answer depends on a variety of factors. First, try to find the records of the last time the roof was replaced or re-shingled. Most asphalt shingled roofs last about 20 to 25 years. In most cases this is the biggest factor, but there are others. If your roof is droopy or sagging, it should be replaced. It is a sign of trapped moisture or rotting boards. When it’s time to replace your roof, price shouldn’t be the only factor that influences your choice of roofing contractor. You wouldn’t choose a “discount” heart surgeon. Likewise, you shouldn’t choose a roofing installation company based solely on the cheapest price. By investing in a quality product and expert installation now, you can rest easy knowing your home is protected for the long haul. As with any home improvement or project, consult with a professional that is licensed and insured.